Gagnol and Felicioli’s distinguished storytelling and their carefully crafted animation style using hand-drawn animation has been attracting audiences from around the world. Their first directed animated feature film, A Cat in Paris, was nominated for an Oscar in 2012. It also received a nomination for the César Award for Best Animated Film in 2011. 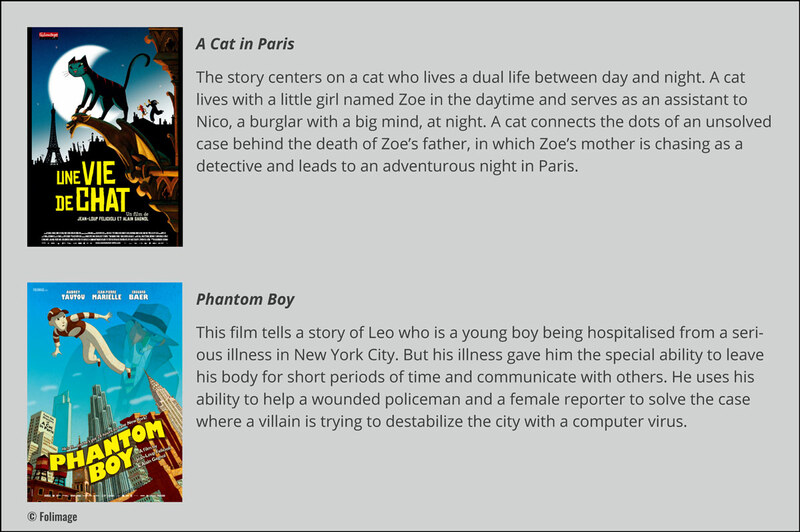 Their next film, Phantom Boy, was released first in France in 2015. The theatrical release in the USA was in the summer of 2016. Now they are in production of their third feature film Tulip, which tells the story, filled with fantasy, of an 11-year old girl who sees monsters. We sat together with Alain Gagnol and Jean-Loup Felicioli to hear about their creative journey and passion for the animation. Gagnol and Felicioli recall that they had begun their career in animation about 20 years ago by chance. Felicioli studied Fine Arts with a desire of expression through drawing and painting at a school where Jacques-Rémy Girerd, the founder of Folimage, was teaching in Lyon. Felicioli tells that working in the animation industry was by chance and he actually wanted to work in graphic novels, but started working as an animator in Folimage after graduating from the school. Gagnol also studied Fine Arts, but he realised that it was very hard to find any work related to Fine Arts. He had a chance to spend his military service in the civil service and spent two years on the job at Folimage. They explain that Folimage had a culture of encouraging collaboration on small projects and shorts among their employees. They knew each other for a long time as they had worked together for 10 years on 14 short films by the time they started working on the feature films. A chance to direct their first feature film A Cat in Paris came to them a little unexpectedly. Gagnol says, “After creating 14 shorts, we wanted to try a slightly longer production and the initial intention was to start with a 26-minute-long film, but then Mr. Girerd said, ‘oh, a feature length film is the same and not much different, just go for it!’”. Then, Gagnol wrote the script and Felicioli worked on the graphics. This is how their collaboration started. 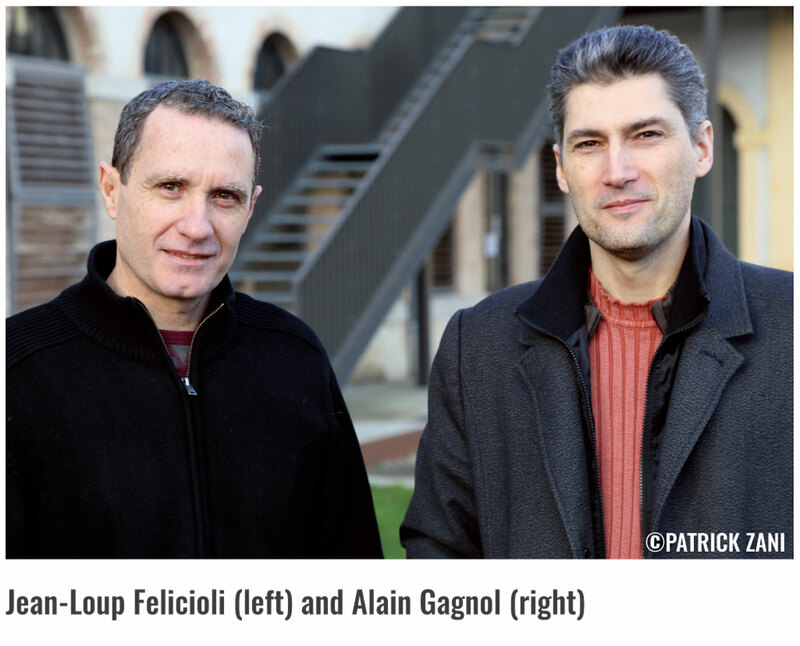 Their collaboration style, where Gagnol writes the story and Felicioli draws, is a good way to complement each other with their own strengths. Felicioli says, “I think it would be quite complicated to do everything alone. Not everyone is gifted with a talent of being good at both script and graphics”. Gagnol adds, “I come up with a story, and then it has to be an idea that Jean-Loup also likes. Obviously, it’s a little bit difficult to work in two. We don’t always agree, but we know each other long enough that we can construct the conversation and move on”. 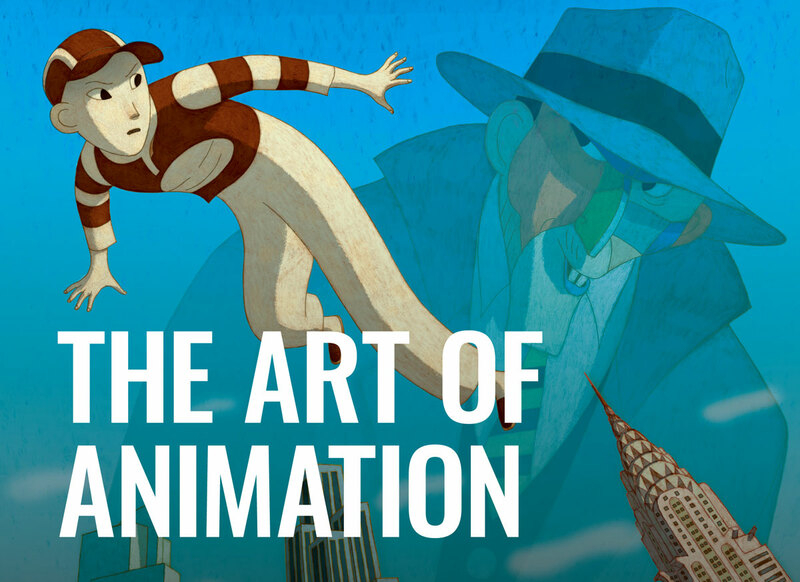 It is crucial to have the best creative team to create animation of the highest quality. The key to working with the team well is “to set your Ego aside”, according to Felicioli. He continues, “It is quite difficult to work in a team. But we found what work best. Basically it is to do a lot of preparation before anyone else gets involved. We work on the project for a year before we delegate the work”. According to Gagnol, the root of the project was to make a “crime novel”, which is quite different from the completed film and originally aimed more towards adults. Gagnol is inspired by live action films directed by Francis Ford Coppola and Martin Scorsese, and American cinema in the 70s to list a few among the many to start with. Gagnol says, “There were about 20 versions of the script targeting adults. In the first draft, there was a shot where a man shoots himself with a gun”. The idea evolved gradually from the initial idea. Gagnol wrote an original script with a finished story and showed it to Mr. Girerd and Felicioli. Having heard their feedback and receiving more ideas, Gagnol developed it further, which took two years. The elements that were in the idea of the story from the start are the cat, the bugler and the little girl. They also had the idea of the little girl leaping through time where the audience finds her at 10 years old or 20 years old. In the final story, they made the little girl to be at the age of 10 years old. Gagnol says that the rejection of funding often influences the story. The fact that it became a film for children is the result of such feedback, for example.